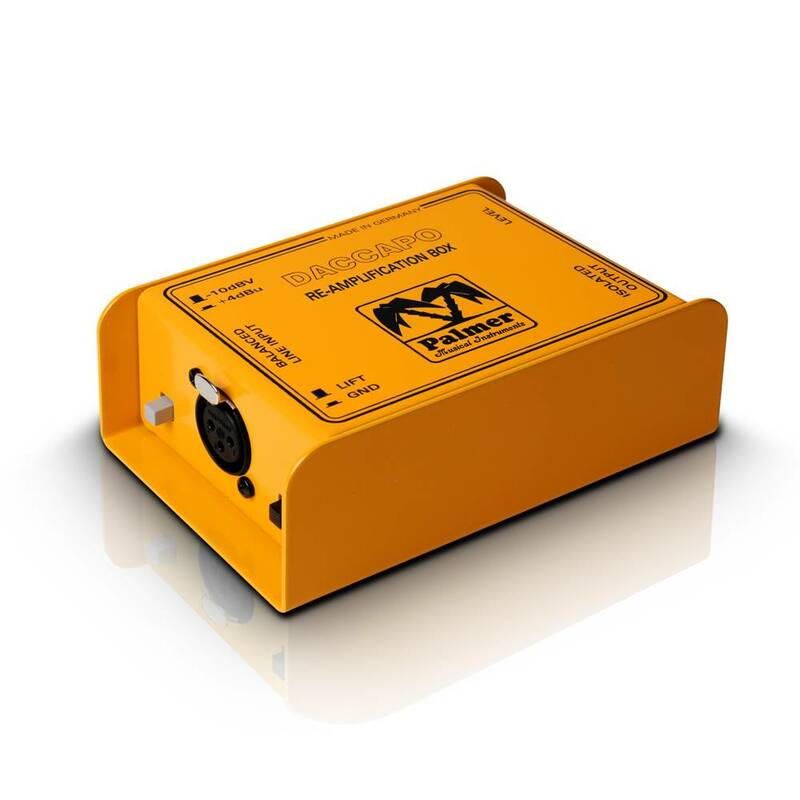 A Re-amplification box is mainly used in studios, with this box you can play back a recorded guitar signal (or any other instrument signal) and send it to an amplifier where it is picked up by microphones and recorded again. 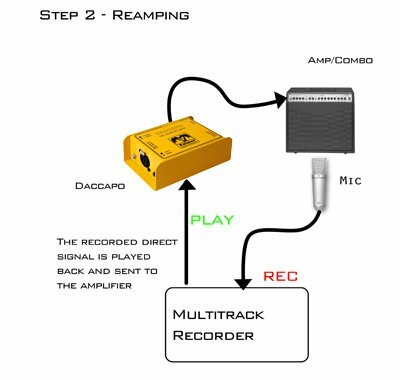 This way the recording engineer can experiment with the sound of an instrument. 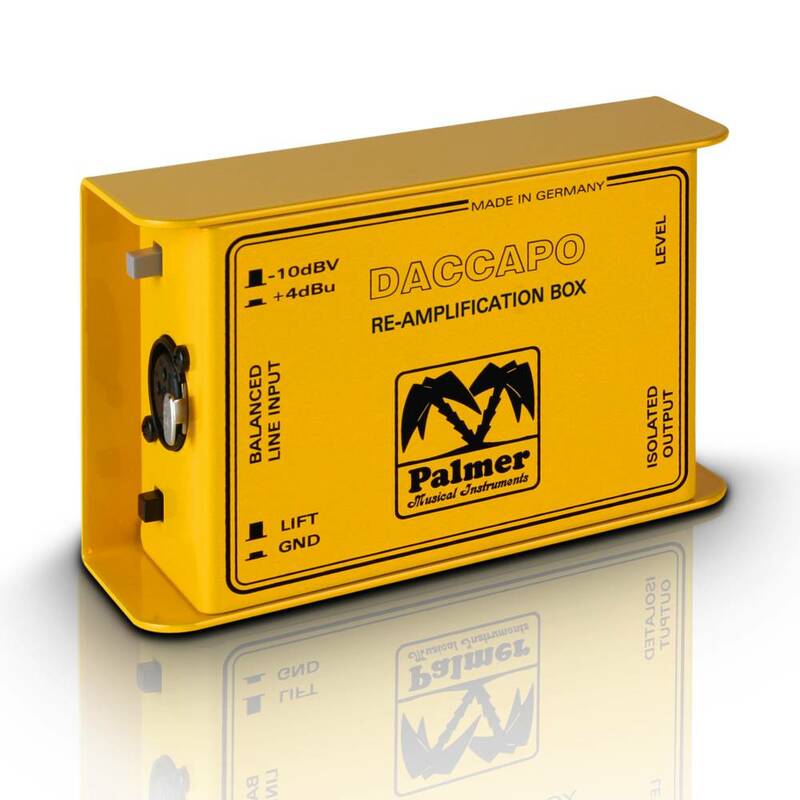 The Daccapo takes care of all impedance matching issues and also eliminates ground loop humming thanks to the use of a Transformer. 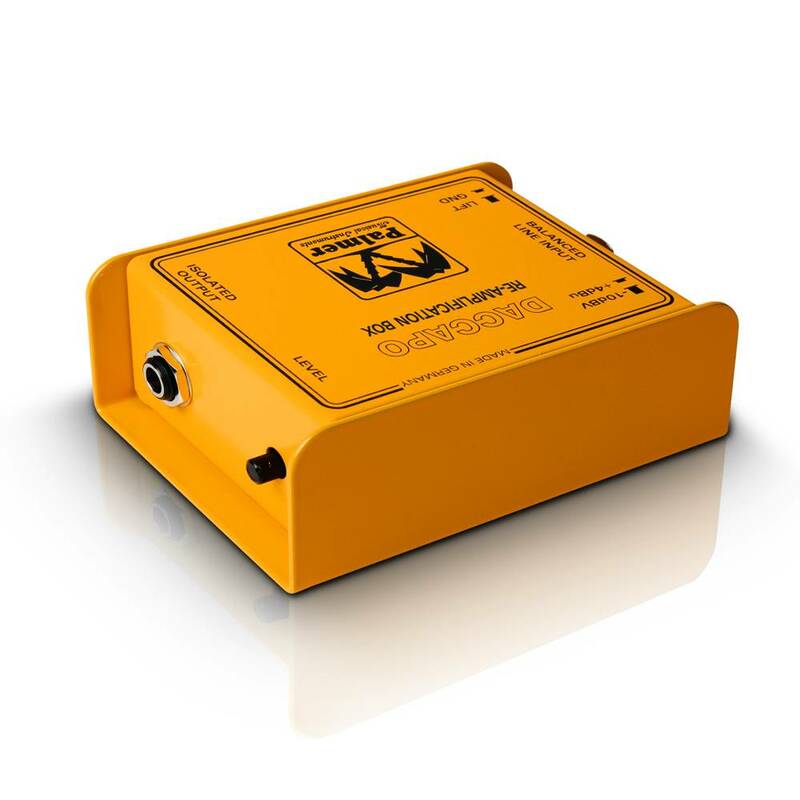 The signal level to the amplifier can also be adjusted with a level pot.